Unfortunately, Ilya’s gentle nature is ill suited to the life of a wolf. 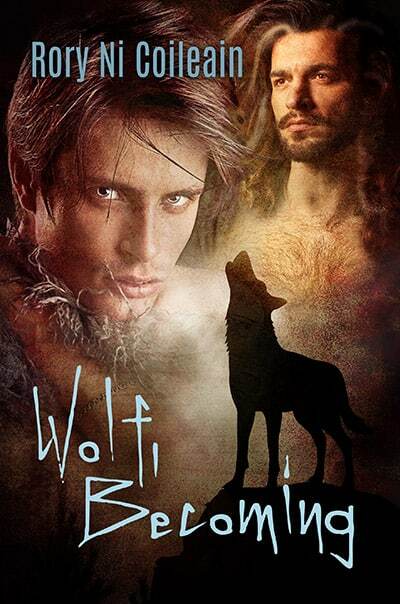 But when Volyk’s old pack returns, seeking to take away Volyk’s magickal den, Ilya will have to embrace – truly become – the wolf Volyk made him, to save both his mate’s life and his own. Today I’m very lucky to be interviewing Rory Ni Coileain, author of WOLF, BECOMING. Hi, Rory, thank you for agreeing to this interview. 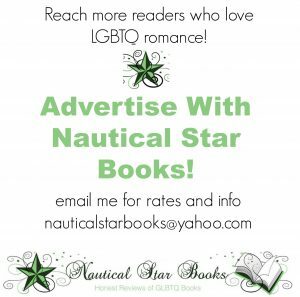 Tell us a little about yourself, your background, and your current book. The first thing that went through your head when you saw Ilya: The very first time, he was five years old and his father had just shot my father. So I was, perhaps, preoccupied. The first time I saw him as an adult, his brothers were trying to murder him. And I remember wondering how I could be so sure that my life would end, if his did. Do you think you’ll insist the author visits you again? I think I have had enough excitement in my life, at least for now. But surely there are other oboroten’, shapeshifters, in the world with stories…. Before you met Ilya, what was your ideal man? *laughing* Before I met Ilya, I had tried to take a mate once, the beta of the pack that took in my mother. That did not end well, I think it’s fair to say. After that… I suppose I assumed I would be alone for the rest of my life. Natural wolves do not like my kind, I fear. And I did not know, then, that being human was an option. You’re going out for dinner. What’s your favorite food? Freshly killed fat deer, bol’shoye spasibo! Ilya was not afraid. Enraptured, yes. Entranced. But not afraid. He had been ready for death when he closed his eyes in the wolf’s embrace. Instead, he was whole, and awake, and in the arms of a man more handsome than any angel. Volyk’s long thick hair was the brown and gray of the wolf’s pelt, his cheekbones angular, his lips full. And his eyes were the same beautiful fiery amber as the wolf’s. Maybe he had only dreamed the wolf. Or maybe he was still dreaming. Surely he had done nothing in his life to earn the gift this moment would be if it were real. Rory Ni Coileain majored in creative writing, back when Respectable Colleges didn’t offer such a major. She had to design it herself, at a university which boasted one professor willing to teach creative writing: a British surrealist who went nuts over students writing dancing bananas in the snow, but did not take well to high fantasy. Graduating Phi Beta Kappa at the age of nineteen, she sent off her first short story to an anthology that was being assembled by an author she idolized, and received one of those rejection letters that puts therapists’ kids through college. For the next thirty years or so she found other things to do, such as going to law school, ballet dancing (at more or less the same time), volunteering as a lawyer with Gay Men’s Health Crisis, and nightclub singing, until her stories started whispering to her. Currently, she’s a lawyer and a legal editor; the proud mother of a budding filmmaker; and is busily wedding her love of myth and legend to her passion for m/m romance. 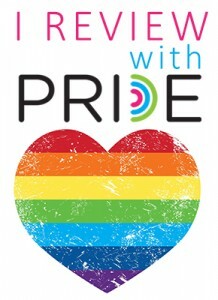 She is a three-time Rainbow Award finalist.